The E1500 cycle is the entry level upright bike from the Vision fitness range. 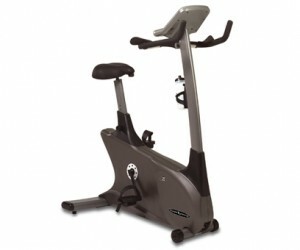 Selecting the right exercise bike is really all about one simple factor, comfort. 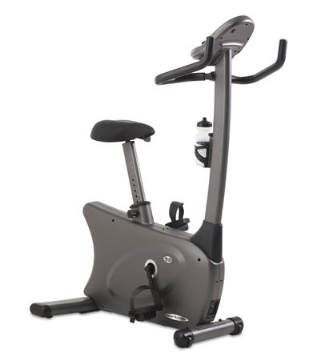 Ultimately if the seat isn’t comfortable and the riding position cannot be adjusted to suit the individual riding position required then motivation to use it will dwindle pretty quickly. As the majority of exercise bikes operate using magnetic braking systems in one form or another these days, most cycles will be quite smooth and quiet so the other considerations when choosing the right cycle will be based on build quality and how sophisticated the console needs to be in order to keep workouts varied and interest levels up. 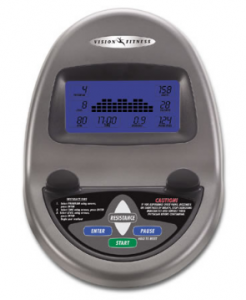 The E1500 features a Comfort Arc seat which is specifically contoured to reduce pressure on soft tissue areas and provide maximum comfort during your workout. It has a large surface area which will suit almost everyone but especially those with a larger posteria. Being a larger than average seat also increases the feeling of stability when cycling, however some users who cycle on a traditional bike saddle regularly may find that the larger saddle on the E1500 restricts movement by comparison. The seat is also only height adjustable with no forward or backward movement so taller users could find their knees a little close to the multi positional handlebars and therefore be better suited to the E3100HR model which is slightly larger. There is a friction free, ECB magnetic resistance system with no wearing parts providing durability and maximum performance. An optimally weighted 9.5kg flywheel, three piece cranks and premium sealed roller bearings means the transition between the electronically controlled 16 levels of resistance is incredibly smooth. 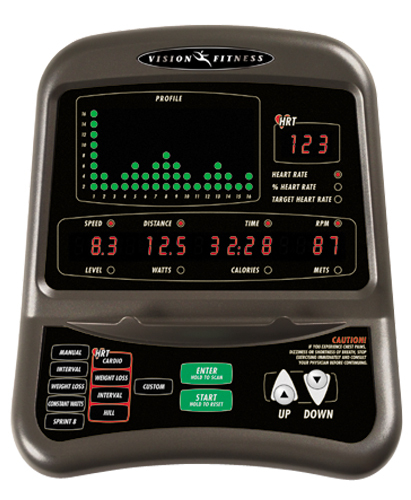 Vision use a Poly-V belt which reduces tension, creates an almost silent workout and increases the lifespan of the belt and the entire drive system. They back this up with not only an industry leading 10 year parts and 5 year labour onsite warranty but a lifetime warranty on the frame and braking system. A compact cycle at just over a metre long (102cm Long and 66cm Wide) capable of holding users upto a maximum weight of 21 stone, this is a sturdy bike. The console is very simple with just seven preset programs available and the feedback is displayed clearly on a blue backlit LCD. Heart rate monitoring is provided, although an optional Polar chest strap would be required for the telemetric option. The program profile is shown and there is a quick start option for those who just like to get on and go. In summary then, for a price of just over £300 it is hard to argue a case against the E1500. There are alternatives which will offer more console features and seat adjustment at this price but there is no comparison if build quality and comfort are your primary concerns.